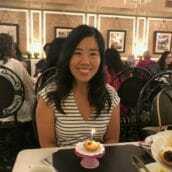 Melinda Cheng is a Southern California native and graduated from Biola University with a degree in Communications. After working several years as a communications coordinator for a non-profit organization, she made the decision to be a homeschooling mom to her three boys. In addition to homeschooling, Ms. Melinda has been active in teaching elementary children and volunteering to help with all her boys’ various sports activities. In her spare time, she enjoys bike riding with her family, traveling and visiting with friends over coffee.